To publish some content, you have to connect to Epsilon-publi ("Web" menu then "connect to epsilon-publi"). Once connected, you access your publishing workspace. You can change the description of your workspace. 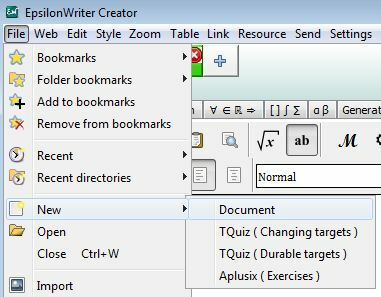 Once connected, "Web" menu gives you several Web saving options to directly save your resource directly into your workspace.